Christina Lang of Dunedin, Florida is so good at her sport, competitors and judges forget she only has one leg. The award-winning swimmer is crushing the competition one stroke at a time. DUNEDIN, Fla. -- On the first day of school, most kids are busy figuring out how to fit in. Four years ago, high school student Christina Lang decided the best way for her to fit in was to join the swim team, like her brother had before her. The decision turned heads since Lang didn't look like any of the other swimmers. "It didn't actually register that she was an amputee until she stepped onto the block and stepped out of her prosthetic," said sophomore Christina Neri. "So I was kind of just like in awe and like, she's swimming on an able-bodied team for her high school." At the team's first swim practice of this year, Lang's final year in high school, she was the only swimmer in the pool missing a leg. For the past four years, it hasn't slowed her down yet. "Swimming is a hard sport. I don't know it any other way," she said from the Palm Harbor YMCA pool deck. "I've never swam with two legs so I don't know if it's hard with one leg compared to two legs. So, is it hard? Yes. But is it hard because I have one leg? I don't know." Lang makes it look easy. 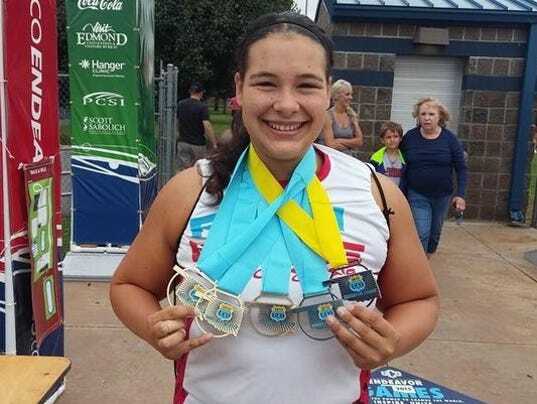 She competed in YMCA national meets over the summer and either broke or set records in four different events. Her favorite stroke is freestyle but also swims breaststroke and butterfly. In each race, spectators are in awe at what the 17-year-old can do. She's done a lot of things that able-bodied people would find difficult since losing her leg when she was a toddler. "When she was 2-and-a-half she got a blood infection from the chicken pox," said Lang's mother, Shannon Waites. "It actually got really bad. I call her my miracle baby because it hit all of her limbs. "There was no doubt. It would have been her life it they had not taken her leg." Now swimming is her life and she's gotten really fast. 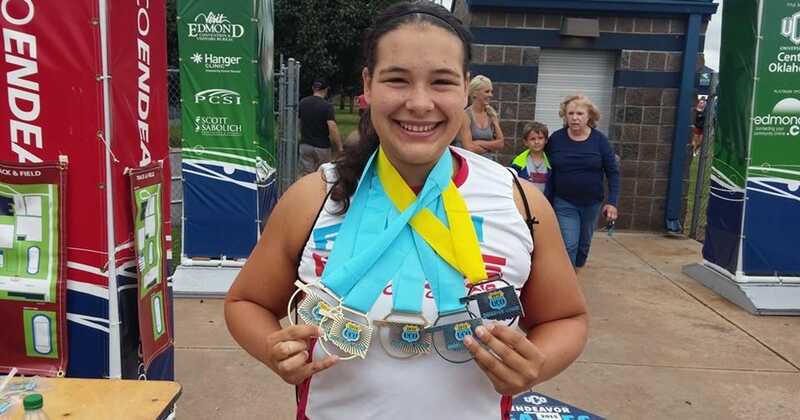 "Sometimes when we're at meets I have to remind officials that she only has one leg because they want to disqualify her in butterfly or breaststroke and I'm like, remember she's only got one," said her coach, Lisa Bitting, with a chuckle. Lang doesn't really like when she's labeled as "the swimmer with one leg" and just wants to be known as "a goofball." She's been rock climbing, white water rafting, scuba diving and done karate – all with one leg. Everyone around her just marvels at her abilities. Her next goal? To graduate high school and train to make a run at competing in the 2020 Paralympic Games in Japan.